Riviera Yachts is the largest and most awarded luxury yacht builder in Australia and a leader in the global marine industry. The name Riviera is synonymous around the world with quality, style, innovation, seakeeping ability and value. Are you the market for a new or used Riviera and want to know more about the brand and their current models available? As an official sales representative for Riviera, I am very familiar with the brand and know their models inside and out. What sets Riviera Yachts apart from other similar brands? Riviera yachts are built in Australia where the seas are very rough, so they have been designed and built to withstand true, blue-water conditions. From a structural aspect, their design is second to none. Each Riviera yacht is built with a solid fiberglass bottom, forward watertight crash bulkheads, keels, and a fiberglass tabbed deck-to-hull joint. All of which combine to create one of the most rugged fiberglass hulls on the market today. Riviera also embraces the latest navigational technology, with models that are equipped with joystick steering, digital switching, glass cockpit navigation, and Volvo Penta Integrated Propulsion System (IPS). Through the use of jack shafts in the pod drive installations, their models are able to maintain a balanced center of gravity and running attitude. The interior design is also very impressive. The styling is richly contemporary, yet not faddish. The interior cabinetry is all handcrafted using real timber instead of MDF/artificial wood. In short, Riviera is designed and built to run correctly, is safe to move around on, and radiates beauty that will stand the test of time. What are some of Riviera’s most popular models? Riviera has the most versatile lineups in the industry. Their yachts currently range from 36 to 77 feet in length, across five distinct model collections: Open and Enclosed Flybridge, Sport Yacht, SUV, Sports Motor Yacht and the timelessly classic Belize Motoryachts. Historically, the Flybridge was the most popular line. However, in recent years this has evolved and it changes by region. In the US, the newer Sports Yacht models seem to be in the highest demand, followed by the SUV, and then the Flybridge/Convertible line. I believe the styling and entertaining functionality of the sleek, express Sport Yacht is what US boaters enjoy the most about these boats. The Sports Yacht also boasts wonderfully designed interiors and excellent sea-handling abilities. What’s more? The stainless steel bulkheads that open up between the aft galley and the cockpit. This really opens up the boat when entertaining guests. In addition, I think people enjoy the side deck walkways, which are wide and have tall rails for safe passage to the bow. The single level from cockpit to helm also make the boat safe to move about in all conditions. For example, the popular Riviera 6000 Sport Yacht and 5400 Sport Yacht feature an alfresco, flowing design with three or four superbly appointed staterooms. Their Volvo D11 engines power twin pod-drives, delivering a breathtaking, yet quiet performance with fingertip-easy joystick maneuverability. How can you decide which Riviera model is right for you? The best way to narrow down which model is right for you, is to first identify your primary purpose for the boat. Whatever your boating interests are, Riviera has a yacht that will meet your needs. For example, the Sport Yacht line is will appeal to those who want to spend most of their time entertaining family and friends, such as hosting lunch and dinner cruises, enjoying days at the sandbar, and going on short stay cruising trips. The SUV models are well suited for the same purposes as the Sport Yacht, but are also designed for boaters who want the option of fishing and scuba diving. 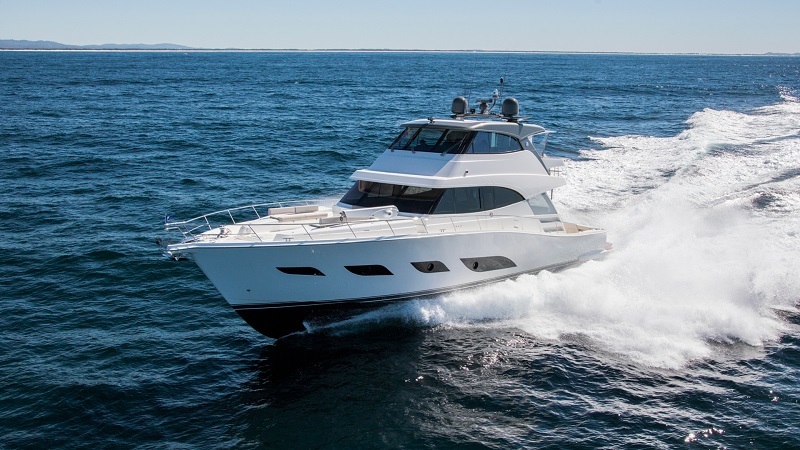 The Flybridge models, such as the popular 52 Enclosed Flybridge, are designed as a family fishing yacht. They can be completely set up for fishing, while also offering enough space and comfort for the whole family to go on a weekend cruise. The new Sports Motor Yacht line is designed for the adventurous soul who wants to cruise in absolute luxury, entertain many guests, take long range, extended stay trips on board, and fish to their hearts content. And finally, the Belize line is for the buyer who wants something special, a boat that will stand out in a crowd. These boats, such as the new Belize 66 Sedan, boast a retro, classic style that simply exudes class, without seeming new age or flashy. What are the benefits of buying a new Riviera? All new Riviera yachts come with a two year comprehensive manufacturer warranty, a five year hull warranty, and a Riviera exclusive five year Volvo engine warranty. Clients often ask how Riviera will service their yacht when maintenance is needed. They are pleased when I inform them how it works. Instead of spending the day moving your boat to a yard, most services can be handled right at your dock, due to Riviera's extensive network of service providers. The Riviera network is also a very friendly network. You will enjoy friendly service from the manufacturer directly or one of the hundreds of service providers that will honor their factory warranties. What should you consider when buying a used Riviera? By design, Riviera is a fairly low-volume, semi custom builder. They do not want to be the biggest producer of luxury yachts. They just want to build the best luxury yacht in their class. Maintaining a low volume means that the market will never be flooded with used Rivieras for sale, thus retaining value better than the competition. A properly maintained used Riviera will hold up very well over time, better than most, in both condition and resale value. However, as with any used boat, you should hire a good marine surveyor to thoroughly inspect the vessel. Hiring a yacht broker when purchasing a used boat is always a good idea, as your broker will connect you with reputable marine professionals that can accurately report on its condition. Why purchase a Riviera yacht? Riviera uses only high quality materials in the production of their boats, which not only looks and feels rich, but it allows the boats to age well. Thus holding value better than most. Riviera is known as a true, blue-water boat, meaning that it is built to handle sea conditions that would send most boats back to the dock. When you combine their overall design, quality of build, sea handling capabilities, and resale value, you have to ask - why buy anything else? My recommendation: Take your friends and family boating and build memories that will stand the test of time, just like your Riviera Yacht. 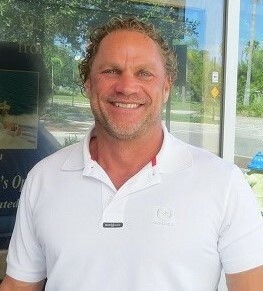 SYS Yacht Sales is proud to represent Riviera Yachts on the U.S. Gulf Coast and West Coast of FL. Contact Alex Rowe to learn more and start your Riviera yacht search today!